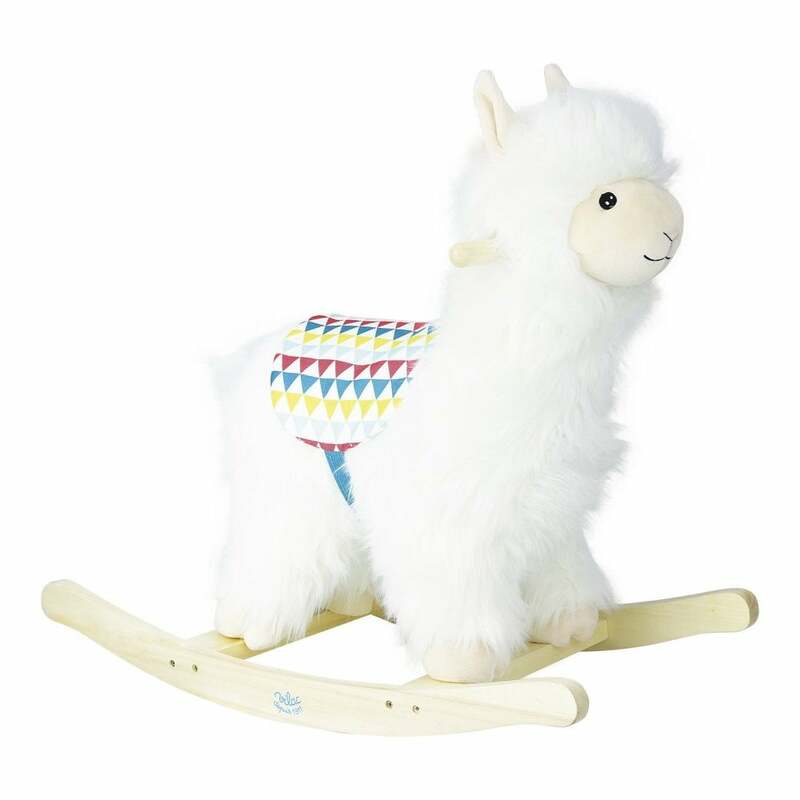 Vilac Alpaca Rocker is a white, plush, Alpaca ride-on rocker toy suitable from 18 months. With his intelligent, gentle eyes, and beautiful fluffy coat, this modern twist on the traditional nursery rocking horse will help your child stay active through play. Why should I choose the Vilac Alpaca Rocker? Vilac Alpaca Rocker is a very cute rocking toy that helps young children develop motor skills as they play. 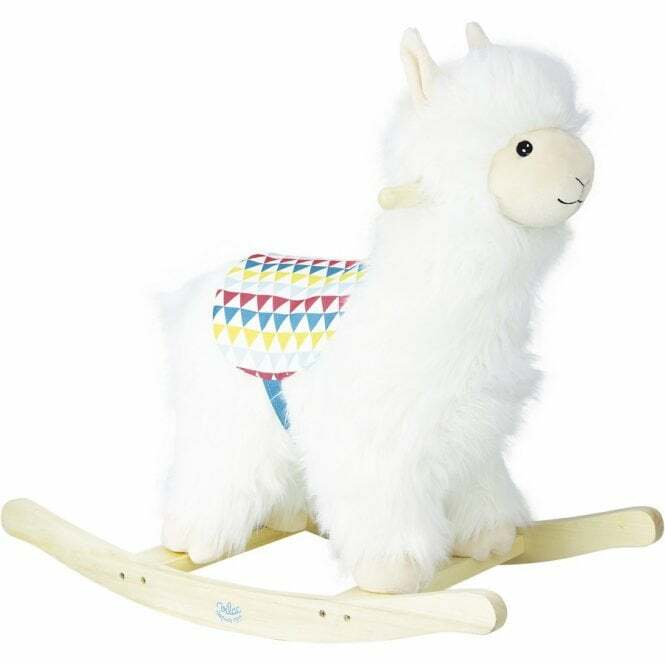 With beady black eyes, furry ears, side grab handles and a bright white furry coat, your toddler will fall in love with this Alpaca nursery rocker. This Alpaca toy comes with its own multicoloured saddle which note only looks lovely but will help your child stay stable as they rock. The wooden base ensures a smooth and gentle rocking experience. Boys and girls alike will enjoy brushing his soft coat before going on an Alpaca adventure! Suitable from 18 months. Dimensions 65 x 60 x 33 cm.